In July, the Trust was presented a cheque for £1,000 from Francesco Mereu and Thomas Rosselle on behalf of the Toyota Motor Company (TMC). The money was raised during their annual Green Month. This was launched in TMC in 1973 and has been held annually in June ever since. The main aim of Green Month is to raiseToyotaemployees’ awareness of environmental and community issues. Toyotaselected 3 charitable projects that aim at improving the environment in their local community. All employees and visitors have the opportunity to vote for their favourite environmental project. 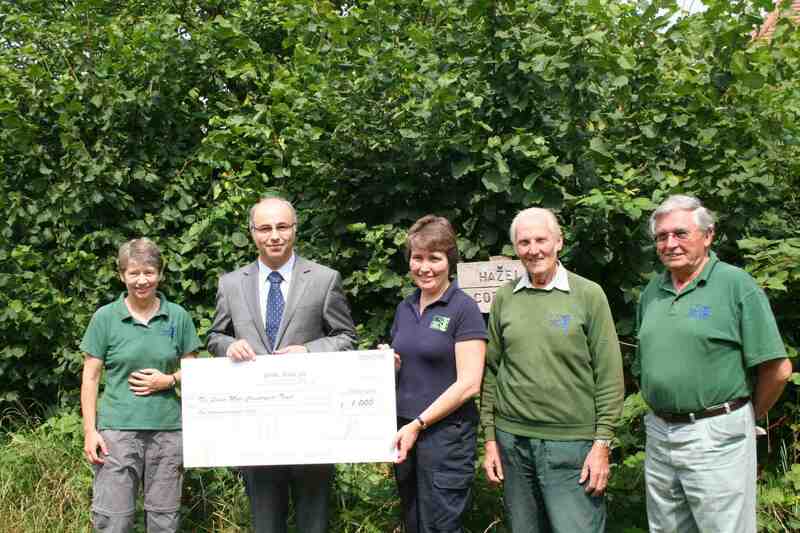 The Trust was selected along with The Surrey Hills Society and the Surrey Wildlife Trust. The funds will be added to the Living Woodlands Appeal – Make a Mountain Out of a Molehill. It will be used to fund the re-introduction of traditional woodland management to areas of woodland that have been neglected, plus educating the public about how important management of our woodlands is for the future. Representatives from the Trust have also been invited to visit the HQ of Toyota GB in Burgh Heath to offer some advice on the best management techniques to use to improve the biodiversity of the site.